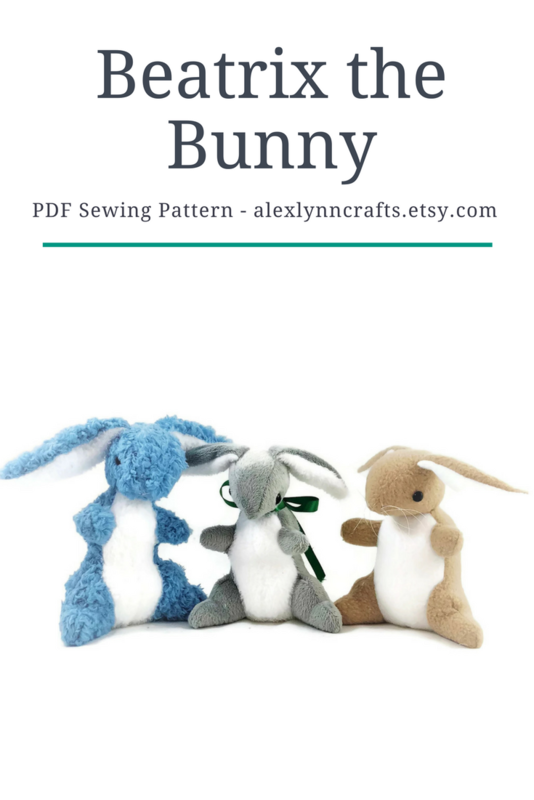 Beatrix the Bunny – Handmade Easter Gift or Spring DIY! Spring is here! Celebrate by making your very own adorable spring rabbit plush. My Beatrix the Bunny pattern is on sale right now for 15% off! This PDF sewing pattern is downloadable instantly so you can get started on your project right away. Beatrix looks great in cuddle fabric, fleece, or even faux fur. And she makes an amazing, handmade-with-love Easter gift. Grab the pattern now!